If you’re anything like me, your coffee mug collection may be growing out of hand. In fact, you may not have much room in your cupboards or cabinets for anything else. Such an impressive collection doesn’t deserve to be hidden away in your pantry in the first place. You need a space that will both store and show off your coffee mugs. And preferably at a low price — because your money’s reserved for more additions to your collection. 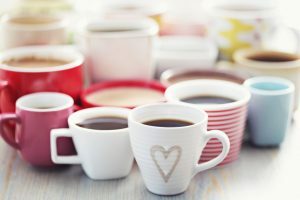 Here’s a guide to making a unique DIY coffee mug hanger that’s not only convenient, but stylish. First, you’ll need to check your lease and see if your landlord has any limitations to or rules against hanging things on the wall. Next, you’ll need a pegboard. You can choose from plenty of sizes at your local hardware store. They’ll even be happy to cut uneven holes for you. Next, you’ll need pegboard hooks. Choose as many as you need. The great thing about a pegboard is that you have no set limit. Unless you plan on leaving your pegboard the same color, you’ll need some primer before painting it. Choose your favorite color of paint, or the color that will best compliment your kitchen/coffee station. You’ll also need some screws to hang the pegboard on the wall. Clear a space and lay down some trash bags to protect the floor while you’re painting your pegboard. Apply the primer and then paint two coats of colored paint. Let the paint dry. Remember to clear out any paint blocking the peg holes. 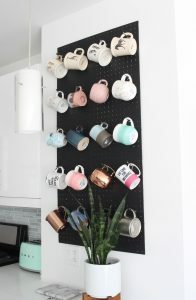 Hang the newly painted pegboard on your wall. Four screws should get it up there just fine. Attach the pegboard hooks. The best part of the pegboard is you can easily move your hooks around/add more hooks if needed. Hang your coffee mugs by their handles on the hooks. Arrange them any way you like. 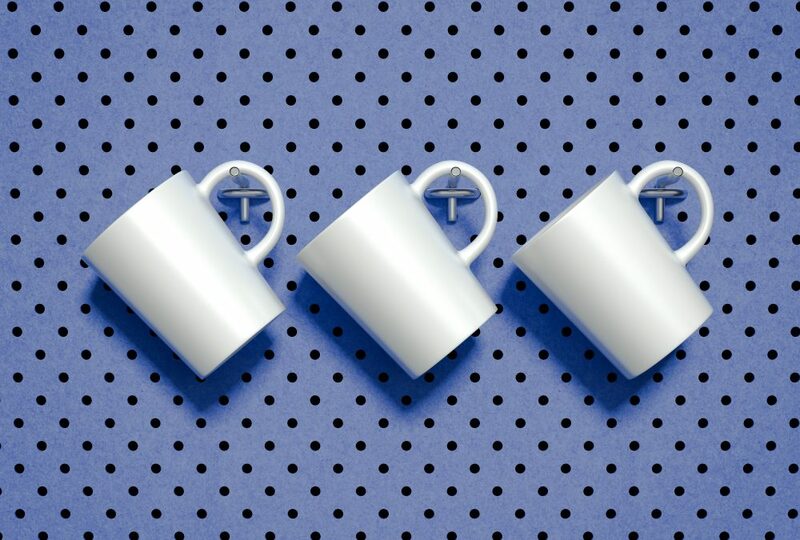 Now your mugs are being displayed with style. Don’t worry, though. 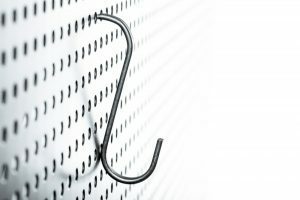 As long as you have some extra hooks, there’s almost more room for your ever-growing collection! Check out this post for more pictures and a better step-by-step guide.